Bouquet "Scarlet bride". 【SLAVIC GIRLS (WOMEN)】, ukraine girls your brides, russian girl for marriage.. Passion is something that overshadows any other human feelings when you meet the right person. This bouquet perfectly reflects this bright irresistible emotion in its scarlet roses outlined by a juicy greenery. 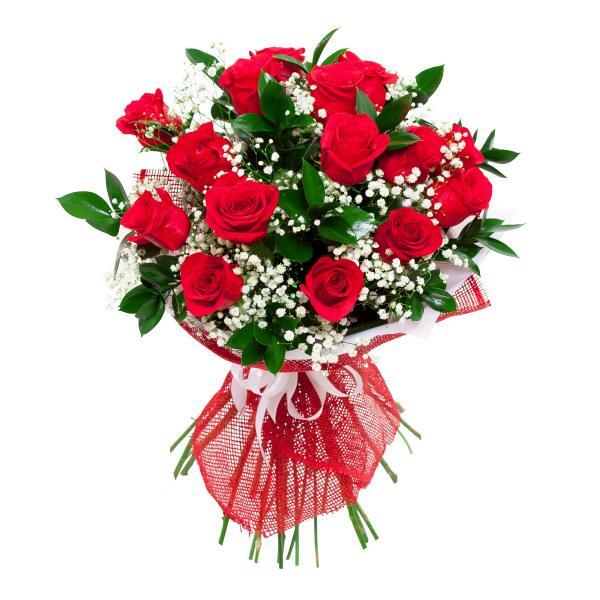 The bouquet consists of 15 red roses, 11 branches of ruscus, 4 twigs of gypsophila, a ribbon and a wrapping.